2013 GMC SIERRA 1500 SLE CREW CAB 4WD LIFTED 5.3L VORTEC V8 4X4 LEATHER NEW LIFT KIT 7.5 INCH BRAND NEW WHEELS 20 AND BRAND NEW MUD TIRES 35 100% AUTOCHECK GUARANTEED WE FINANCE WAC. Call us now for more details 800-651-1718 At Loan Star Motors we offer the lowest rates and loan terms for your best deal. We have teamed up with many financial institutions to provide you with the best financing options possible. At Loan Star Motors we AutoCheck every vehicle before purchase and do a DMV background check. Welcome to the Loan Star Motors Family. Thanks for shopping our inventory and we look forward to assisting you in your next purchase. WWW.LOANSTARMOTORS.COM We stand behind our product with a low cost 30 day warranty on all Domestic and Import model vehicles. At Loan Star Motors, we offer financing as low as 1.99%. NO CREDIT - BAD CREDIT REPO - BANKRUPTCY - E-Z SPECIAL FINANCING OPTIONS. Family environment, Upfront & honest! Call Now & See How Easy It Is! College Graduate Program! Great Discounts for Military, Police, and Fireman! PHONE: 800-651-1718 No matter the terrain or weather, you'll drive at ease in this 4WD-equipped vehicle. With exceptional safety features and superb handling, this 4WD was engineered with excellence in mind. Just what you've been looking for. With quality in mind, this vehicle is the perfect addition to take home. There are many vehicles on the market but if you are looking for a vehicle that will perform as good as it looks then this GMC SIERRA 1500 SLE CREW CAB 4WD LIFTED 5.3L VORTEC V8 4X4 LEATHER is the one! More information about the 2013 GMC SIERRA 1500: Full-size trucks are used in such a wide range of situations--from construction fleets to long-distance driving--and the broad range of interiors and hauling/towing options offered in the GMC Sierra and help satisfy shoppers better than most other competing models. SLE and SLT models are probably the best fit for buyers who need the sturdy, get-messy capability of a pickup at least some of the time, but the Sierra Denali is the choice for those who need a pickup that doesn't compromise luxury. And for those who need a pickup but want to make a greener choice, with even lower operating costs, the Sierra Hybrid makes up to 25% better fuel economy without sacrificing much towing or hauling ability. Strengths of this model include strong tow ratings, Top-notch interiors to suit work or luxury use, extensive features and options, and fuel economy WE OFFER NATIONWIDE FINANCING OPTIONS, COMPETITIVE RATES, DISCOUNTED SHIPPING AND WELCOME TRADES. Extended warranty programs and low APR financing available (With Approved Credit). Toll Free 1-800-651-1718 Visit us on the web at http://www.loanstarmotors.com All advertised prices exclude government fees and taxes, any finance charges, any dealer document preparation charge, and any emission testing charge. The price for listed vehicles as equipped does not include charges such as: License, Title, Registration Fees, State or Local Taxes, Dealer Prep, Smog Fees, Credit Investigation, Optional Credit Insurance, Physical Damage of Liability Insurance, or Delivery Fees. DEALER makes no representations, expressed or implied, to any actual or prospective purchaser or owner of this vehicle as to the existence, ownership, accuracy, description or condition of the listed vehicle's equipment, accessories, price, specials or any warranties. Any and all differences must be addressed prior to the sale of this vehicle. Your actual mileage will vary depending on how you drive and maintain your vehicle. 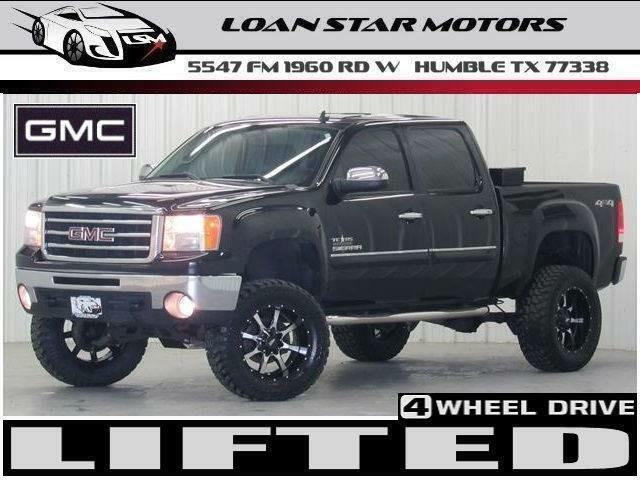 Visit Loan Star Motors online at www.dieseltruckshouston.com to see more pictures of this vehicle or call us at 800-651-1718 today to schedule your test drive.